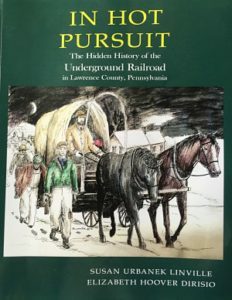 Featuring books of historical interest and significance to Western Pennsylvania’s Lawrence County. Dynamite! 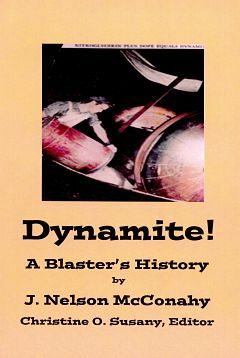 A Blaster’s History chronicles J. Nelson McConahy’s personal experiences working at the American Cyanamid’s “powder mill” in Edinburg, Pennsylvania during the late 1960s. A major explosion at the mill in 1964 eventually led to the closing of the plant in 1971. The end results of this dramatic event were the loss of good paying labor jobs in an otherwise economically depressed rural area of the Mahoning Valley and the passing of a way of life that respected family values and relied upon friendships and loyalties. This book is not so much a story about one man’s memories as it is a story of fellowship and survival in a truly explosive working environment. The author’s personal reminiscences, pictures, and documents pay tribute to all those who lived through those transitional times. 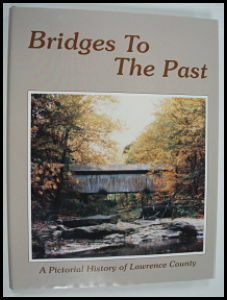 “So bucolic a setting deceives modern-day visitors into thinking that few passed here before, but the story of Cascade Park is one of savvy businessmen and colorful characters; it’s left a legacy of great riches, and often, opportunities lost.” This book includes many excerpts from oral history recordings done by Zona and Lawrence County Historical Society interns. 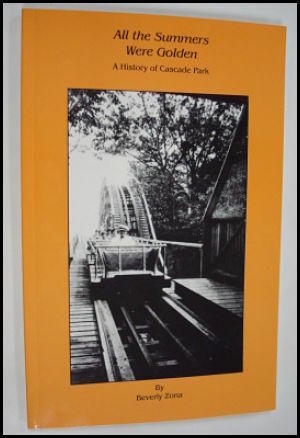 Photographs of the park dating back to the 1890s are also featured. 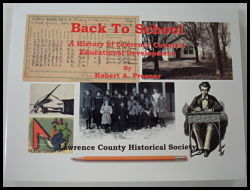 This pictorial history of Lawrence County features 192 pages of history and 460 photographs. The book spans the era from its beginnings through today. It covers topics such as transportation, business, industry, agriculture, religion, education, local military history, and sports. The perfect gift for that hard to buy for relative. 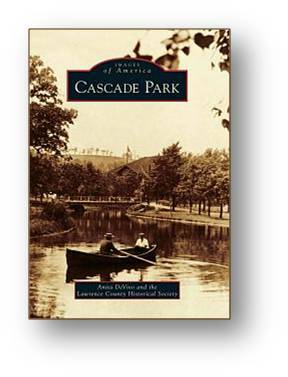 Since its opening in 1897, Cascade Park has welcomed thousands of visitors to its picnic grove, summer cottages, mineral springs, dance pavilion, swimming pool, baseball field, zoo, boat rides, outdoor theater, fireworks, and numerous other amusements. The park is an unusually beautiful natural setting with Big Run Falls, Cat Rocks, a gorge, rolling hills, shady walkways, and even a ginkgo tree or two. In the 1890s, when it was called a trolley park, crowds of visitors arrived by streetcar. Eventually automobiles took over, and the roller coaster was dismantled to make space for a parking lot. Today automobiles spill out of the parking lot once a year when more than 1,000 vintage cars travel to the Back to the 50’s Weekend, now in its 25th year. This and other family-oriented events continue the tradition of good times in Cascade Park. The Lawrence County Historical Society’s archives and its John Hitch Collection furnished most of the photographs in Cascade Park. Author Bio: Anita DeVivo is the author of New Castle and Mahoningtown and coauthor of Lawrence County. Everett E. Bleakney Jr., a lifelong Ellwood City resident and amateur historian, serves as a board member of the Lawrence County Planning Commission. He was a letter carrier in Ellwood City for 25 years. Bleakney has selected images from his extensive postal archives and has called upon knowledgeable friends to help through this visual postcard journey. 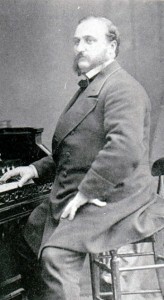 Coauthors, Susan Urbanek Linville and Elizabeth Hoover DiRisio, include stories about abolitionists and conductors who operated in Lawrence County during the years preceding the Civil War. In Hot Pursuit also highlights the Free-Black community, the importance of area ministers in rebuking slavery, and the county’s national participation in the fight against slavery. Lawrence County was named for naval captain James Lawrence, who gave the famous command “Don’t give up the ship” during the War of 1812. His command became a slogan for western Pennsylvanians in the early 1800s when what was to become Lawrence County was divided between Mercer County and Beaver County. In 1820, residents started to protest the inconvenience of conducting business in two jurisdictions and proposed a new county to unify the community. They did not give up the ship. Finally in 1849, Lawrence County was authorized. The new county was rich with rolling hills, rivers, forests, and fertile land. Limestone, iron ore, coal, and clay supported burgeoning industries. Lawrence County illustrates the effect of these industries on the area through more than 200 vintage postcards and photographs. Also illustrated are the Old Order Amish and places such as Possum Hollow, Breakneck Bridge, SNPJ, and Energy. Author Bio: Anita DeVivo, a resident of Lawrence County, is the author of New Castle and Mahoningtown. Anthony P. Walczak, a lifelong resident of Lawrence County, is a dedicated collector of postcards, Native American artifacts, and other local memorabilia. Written & Illustrated by Robert A. Presnar. A Children’s History Book. Little Lawrence is a book to be enjoyed and shared by you and your little one. It is a project designed to get children to begin thinking about their role in shaping the future. In their tiny hands, they hold the key to tomorrow. Let us nurture and support them. Let us encourage their learning and inspire their creativity. 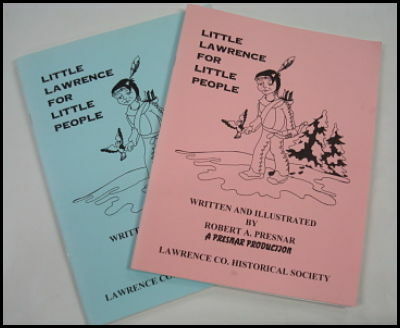 Little Lawrence is about brown faces and white ones. It is about ribbons and catcher’s mitts. It is about ties and dirty work boots. It is about linguine and perogies. 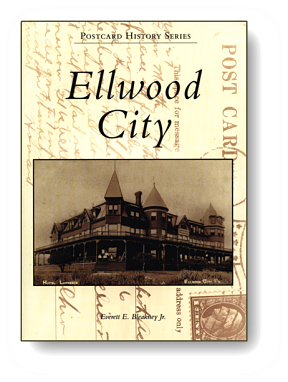 It is about Crescent Place in Ellwood City and 5th Street in West Pittsburg. It is about a drive down 60 and a walk along the Slippery Rock Creek. Little Lawrence is about me – and – it is about you. Founded in 1798, New Castle was a small borough located at the confluence of the Shenango River and Neshannock Creek. Mahoningtown, a small borough located just south of New Castle, was a thriving community founded in 1836. The two towns boasted flourishing industries, and in 1896, a trolley line was created to run between them. In 1898, Mahoningtown officially became the seventh ward of New Castle. By that time, New Castle was a third-class city, and railroads and steel were the areas major industries. Eventually many important products were manufactured here, including both Castleton and Shenango China, which were used in the White House. New Castle became known first as the tinplate capital of the world and, later, as the fireworks capital of the world. The stunning postcards featured in New Castle and Mahoningtown document the fusion of these two communities. Among the memorable views are the diverse scenery and amusements of Cascade Park and the parade for baseball manager Chuck Tanner, who led the Pittsburgh Pirates to their fifth World Series. Author Bio: Anita DeVivo, a resident of New Castle, grew up in Mahoningtown. An editor by profession, she has published books, journals, and the Publication Manual of the American Psychological Association. 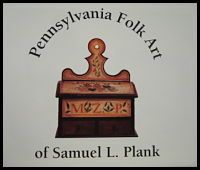 She is a member of the Lawrence County Historical Society and the Historical Society of Western Pennsylvania. 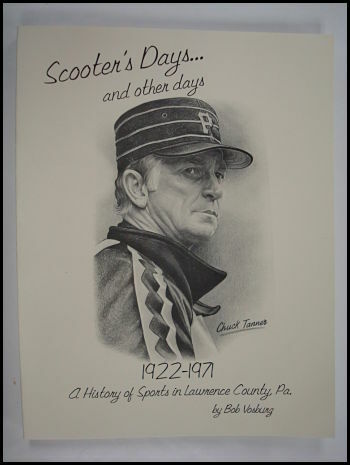 History of New Castle, once tinplate capital of the world and now the fireworks capital of the world / How Mahoningtown became the 7th ward of New Castle / Parade photos of baseball manager Chuck Tanner, who led the Pirates to their 5th World Series. Proceedings of the Centenary Celebration of the birth of Ira D. Sankey together with some hitherto unpublished Sankey correspondence. 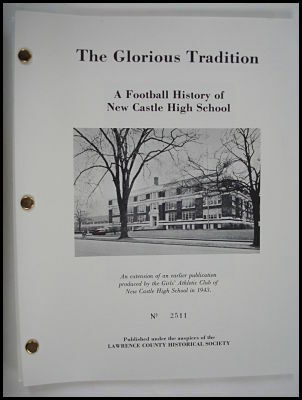 Includes contemporary newspaper accounts concerning the gift of the YMCA building by Mr. Sankey to the City of New Castle. Also, includes black and white photographs. 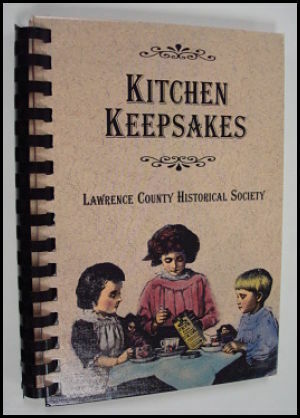 Published by the Lawrence County Historical Society. Availability: Currently unavailable. Contact our onsite Gift Shop for details. History of a Local-World Renowned Family. 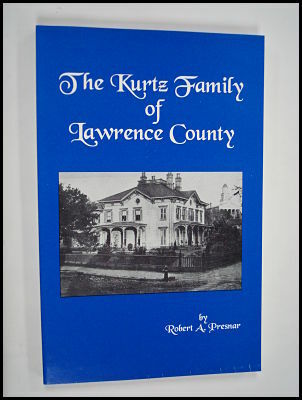 A Kurtz family member was one of the first four lawyers admitted to the bar in 1849 when Lawrence County was formed from Mercer County to the north and Beaver County to the south.